homevest Real Estate is one of the leading Real estate property consultant in Noida, Greater Noida, Noida extension/Greater Noida west and Yamuna Expressway. As real estate industry has turned around in NCR. People are more incline for resale units. PROP MUDRA has available maximum flats for resale on reasonable price. Though Prop Mudra has worked with all renown builders like – Jaypee Infratech, 3C,Lotus,Today Group, IITL – Nimbus,Mahagun Group, Wave Group,Paras Buildtech,Supertech and Gaur sons extra. Prop Mudra has extremely talented resale team who dedicatedly work for resale in these reputed builder’s project.Noida is defined in two multiple location ( Noida expressway and Central Noida). Noida Expressway is one of the hot destination in NCR for Investors to Invest. Noida Expressway has always been in demand because of its connectivity for Delhi. All renowned and Big groups are developing their societies here. Project like Jaypee Wishtown, 3C Boulevard, Lotus Panache, Today Ridge Residency, IITL Nimbus Golden palm & Paras tierea extra. As per the current market demand Prop Mudra has many resale flats available in these projects at very reasonable price. 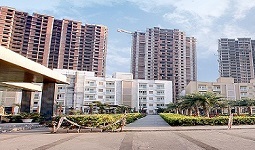 Central Noida is also located at very unique location and it has also many residential project for investment. Central Noida is an inhabited location. Few Sectors are fully occupied like – Sector – 41,47,48,49,50 and 51. Here many renowned builders are developing their societies respectively. Mahagun Moderne and The Hyde Park are one of the leading projects in this location. Prop Mudra is doing excellent Business in this project, Because Propmudra has enough resale flats available in Mahagun Moderne and The Hyde Park. Noida extension/Greater Noida west – has been demanded among middle class families. Noida extension has many builder who are developing their societies respectively at very cheaper rate. Noida extension is surrounded by three different cities Noida, Greter Noida and Gaziabad. The charm of Noida extension comes from NH-24 because this road connects Noida extension from Gaziabad, Meerut and uttarakhand. Amrapali group , Gaur Sons and Mahagun Group are the measure builders who are developing their societies on larger scale. homevest has been doing excellent job in Noida extension. Prop Mudra is doing considerable fresh and resale booking in this location. Prop Mudra has ample flat available for resale in particular location. Mahagun Mywoods and Mahagun Mantra are best project among all projects in Noida extension in terms of quality and pricing. Greater Noida is the also one of the considerable place to invest in NCR. Greater Noida is technically planed city. Greater Noida has Institutional and corporate hub. Many Muti-national companies are operational in Greater Noida. IITL Nimbus is on of the leading real estate company which is operational in Greater Noida. IITL Nimbus “The Express park view” is best residential project which is being developed by IITL Nimbus group in sector – CHI V, Greater Noida. Prop Mudra has exclusively right for selling IITL-Nimbus’s projects. 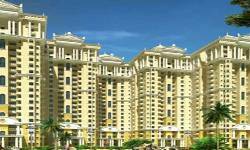 Prop Mudra has also adequate number of resale flats in IITL Nimbus “The express park view”. Real Estate has become leading property consultant in NCR. Prop Mudra is doing excellent job in these locations – Noida,Greater Noida, Noida extension and Yamuna expressway. Prop Mudra is giving highest level of satisfaction to their clients by giving them after sales services. Prop Mudra has skilful sales team who deliver their maximum assistance to their clients. Prop Mudra has done magnificent work in Real estate industry of NCR for last few. years. Prop Mudra is taping the market rapidly in fresh and resale businesses separately. Resale flats in Noida is one of the highest desirable key word for online media, because many of flats buyers are looking for flats in resale. Buyers are getting advantages in purchasing flat in resale, flat will be ready to move-in at very reasonable price compare to builder’s price for fresh booking. As Noida Expressway,Central Noida, Greater Noida, Noida extension and Yamuna Expressway are the areas where maximum investments are being done. Noida is the second desirable place to live after Delhi. Now a days resale price of the property has become actual landing price of the property. Though all properties are posted on property portals, its very easy to get comparative analysis of said property online by doing price comparison and buyer’s review. Moreover Noida and Greater Noida is full with investments and many investors are now looking for sell their properties on higher values, because all the properties are on possession stage. Therefore resale of flats in Noida is happening rapidly. Home buyers are getting ready to move flats on cheaper price from investors in resale only. Size- 984, 1114, 1494, 1774, 2148, 2191 Sq-Ft.
Where should I buy? – Resale/ Fresh?